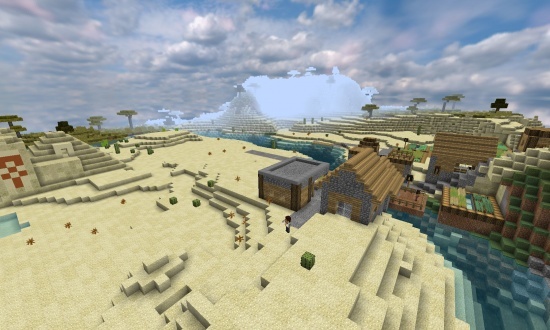 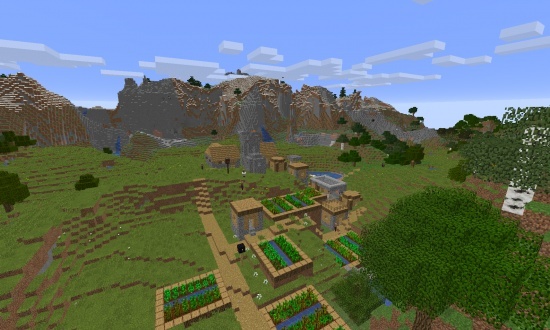 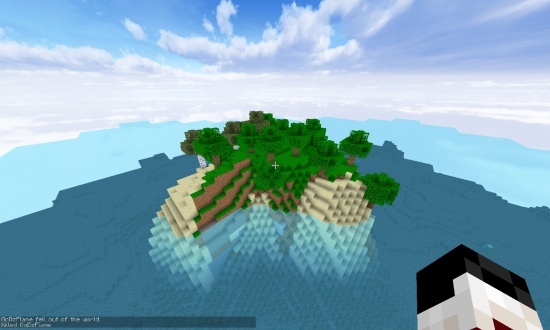 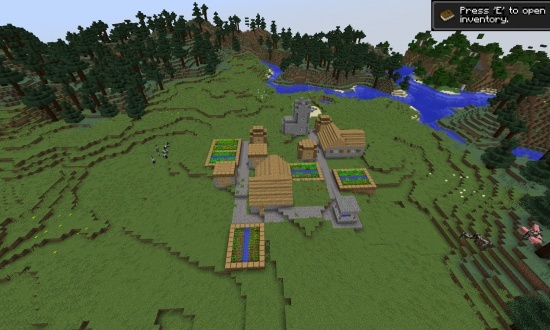 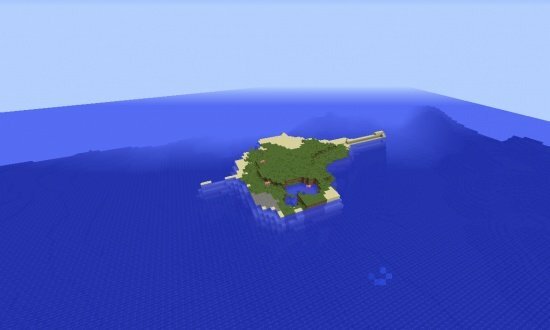 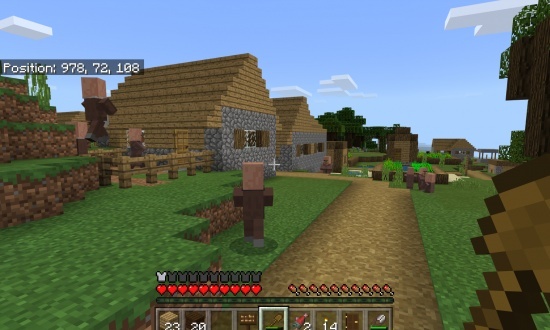 This seed contains at least a village with some basic loot. 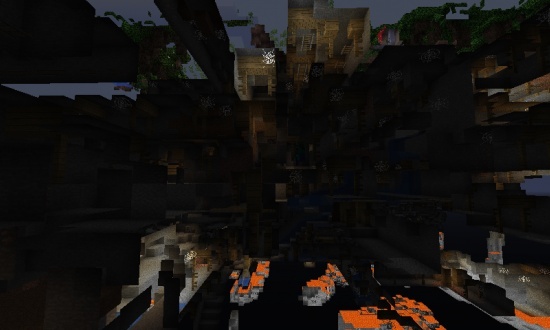 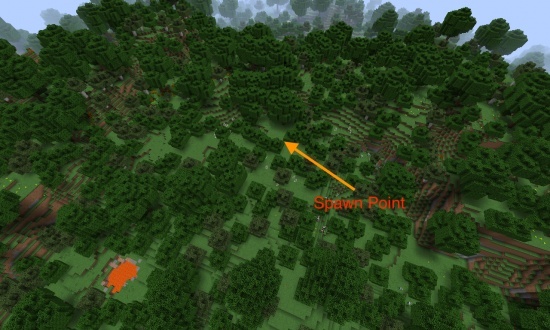 There is a mesa biome and a huge forest. 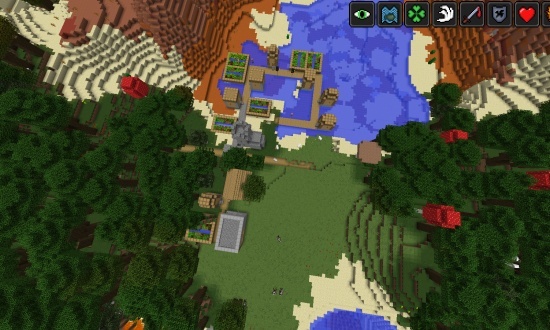 There is also a desert temple. 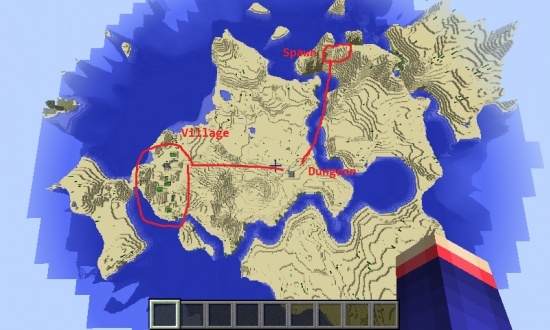 If you go the the water part of the village and loom at the village then, it is on your right hand.